Submitted by breadforfun on March 15, 2015 – 1:41pm. It’s been a while since I last posted, so I wanted to share some photos from this weekend’s bakes. 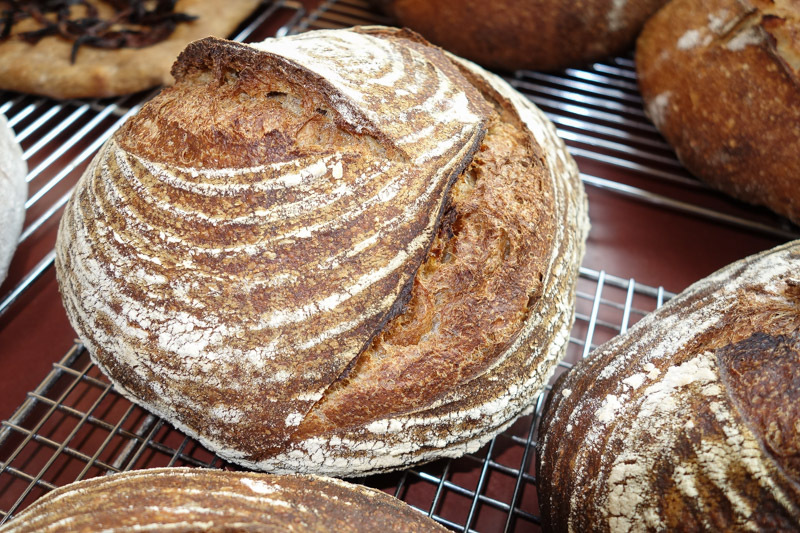 A small get together with some friends always inspires me to bake a mix of some new breads and some standards. 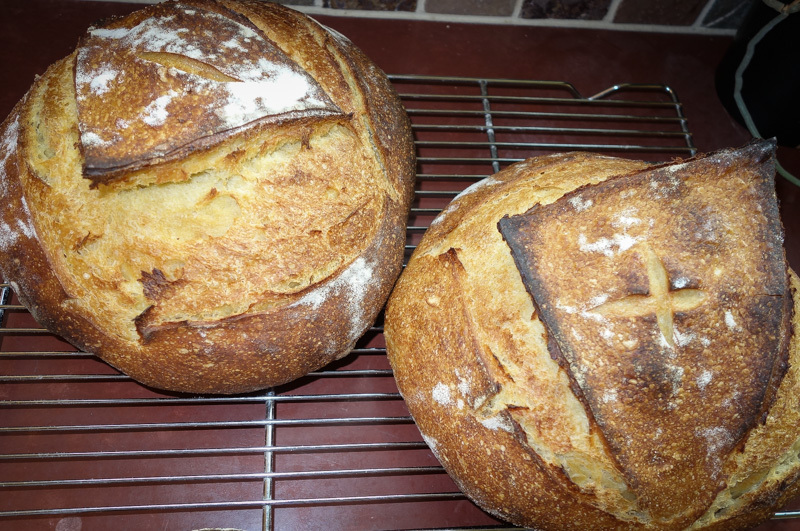 Clockwise from the left are: Royal Crown’s Tortano (from Glezer’s Artisan Baking in America), a caramelized onion focaccia (made with flour I brought back from Italy last fall), two boules of Pane di Altamura (more on this later) and three loaves of my go-to spelt sourdough. 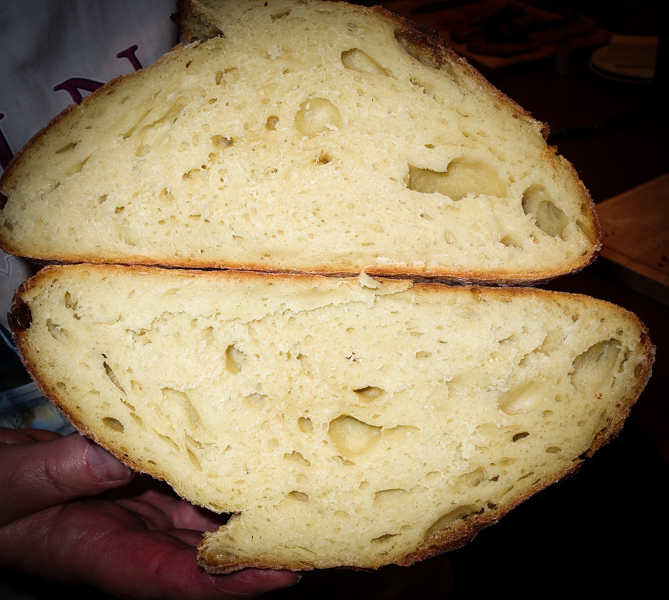 Here is a crumb shot of the SD batard and a close up of one of the boules. 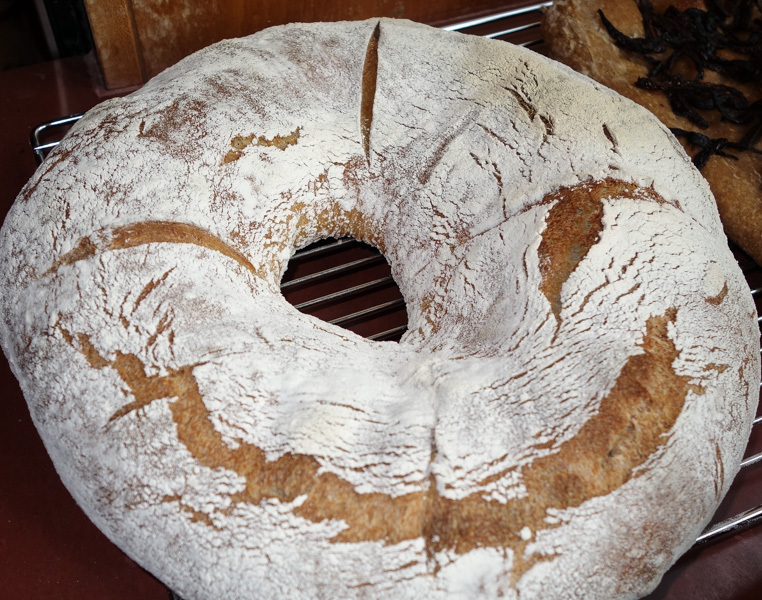 The batard finished at around 1200g and each boule was around 700g. The Pane di Altaumra is a formula that I have been working on for a few months with mixed success. It is worthy of a post all its own that I hope to finish soon. 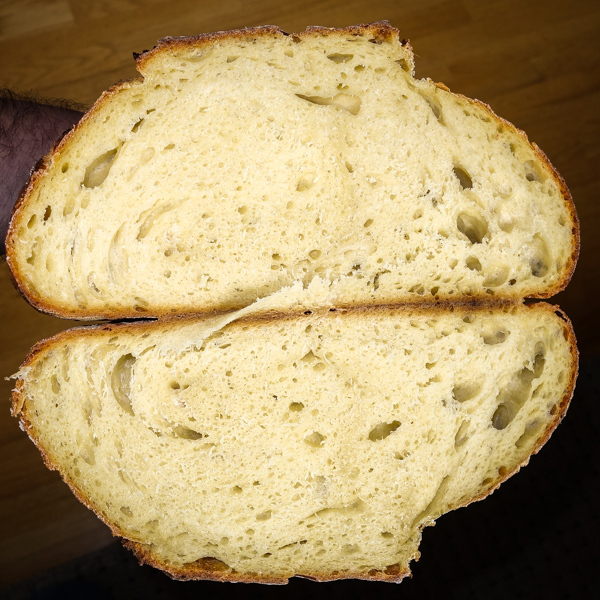 Meanwhile, these two boules are a comparison between a loaf made with domestic patent durum flour (on the left) and one made with Italian Semola Rimacinata Grano Duro that I carried back from my trip. 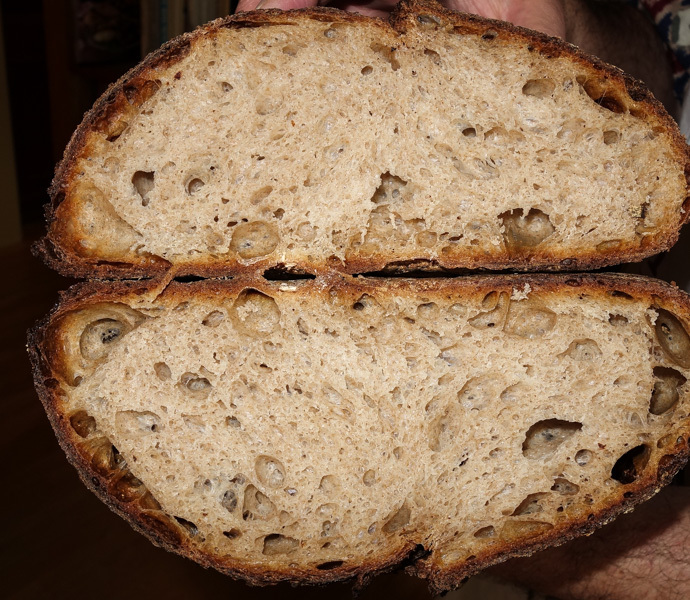 The tortano didn’t fully rise in one section, probably due to overhandling the dough, but it had a very complex flavor for a yeasted dough (it used a long-fermented poolish as leaven). There was enough for all the guests to take some home for breakfast.